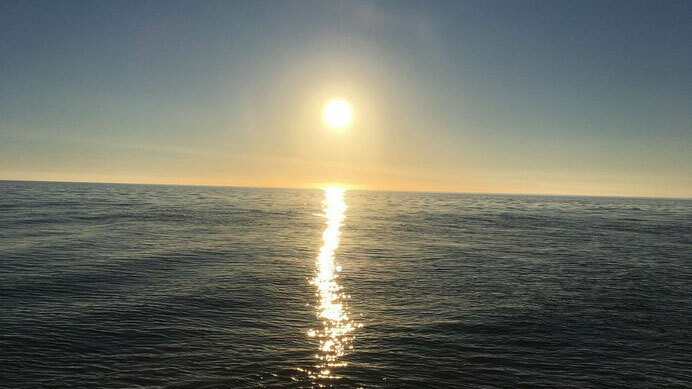 As we know from our own experience, it can be quite a challenge to escape the over-stimulation of daily life and enjoy a relaxing, replenishing holiday. Due to its peaceful atmosphere and unique natural surroundings, Centre AMATA is a place where even highly sensitive people can relax and let their senses expand. We do our best to be transparent about what our guests can expect here in terms of the physical characteristics and the energetic vibe of this place. But as we're all different and sensitive to different things, do not hesitate to ask us if you have doubts or don't find the answer to your questions on our website. 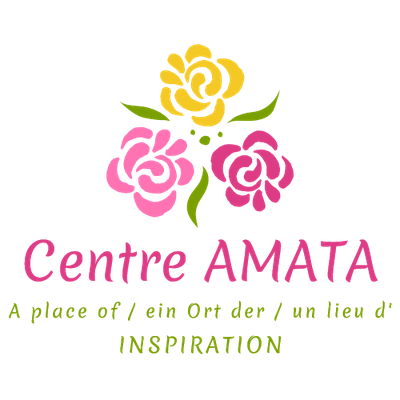 Centre AMATA is on a 6ha piece of land, surrounded only by fields and forests! Nature is powerful here. Many clients comment on the quiet and peaceful atmosphere. There's no noise or air pollution except for a few agricultural machines here and there. Depending on the season and were you are on the property, you may faintly hear the distant road. We are in a dead-end. There's no road or railway nearby. Around the house you'll hear the infinite soothing sound of flowing water. In spring, the frogs in our pond make some noise. We love their chanting but guests should know it can be a bit noisy. In the summer months, you'll be immersed in the sounds of crickets all over! Listening to their symphony is absolutely elevating. The entire property - inside and outside - is a non-smoking zone. We use only ecological, allergy free cleaning and washing products. Guests regularly comment on the beauty of the rooms. The wood floors and ceilings contribute to a cozy, healthy atmosphere. Guests can connect independently to wifi as and when they like. The only other wifi signal that might be perceived faintly in the guesthouse is ours. It is switched off at night. There's no mobile signal at all in the house. In wintertime, our geothermal heater makes some noise. It can be heard in the dining area and the hall. On very cold days, it may be faintly heard in some of the rooms (similar to the noise of a fridge). We serve vegetarian or vegan organic food. When available, we're proud to serve you homegrown fruits & veggies! We never use white sugar, chemical additives or glutamate. With our daily spiritual practice, we contribute to maintaining a high frequency energy here. We do our best to integrate presence, ethics, self-responsibility and honesty in our daily lives and human relationships. Our house is under the same roof as the guesthouse, but the guest area is clearly separated from our space (separate entrance, separate outdoor space). Mutual respect of privacy is very important to us.